RADICAL RETRO TURTLE TOY TALK #10: ARE YOU READY TO ROCK? What it is, fellow Turtle fans? 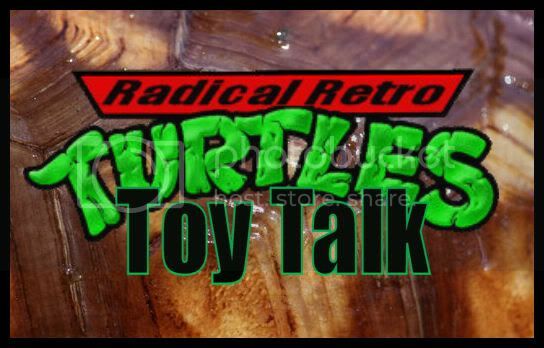 Glad to have you here for this 10th installment of RADICAL RETRO TURTLE TOY TALK! I believe I have officially stuck with this column longer than I stuck with Cub Scouts back in 1986! This week’s gravelly guest is the baleful boulder-shaped baddie and all-around jerky General of Krang’s Rock Soldier army. He’s no Dwayne Johnson, but this Rock says he’s going to lay the smack down on the Green Teens’ candy-carapaces. Get ready to meet General Traag! 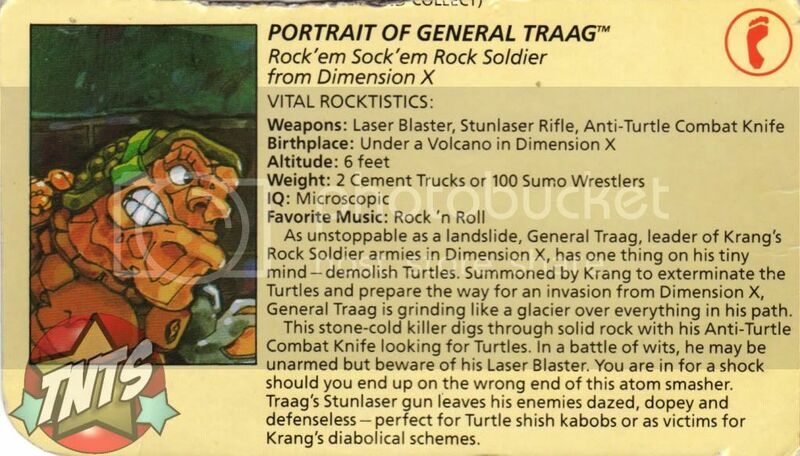 General Traag was a recurring character in the Teenage Mutant Ninja Turtles cartoon from 1987, as well as in the Archie comic series and a few video games. 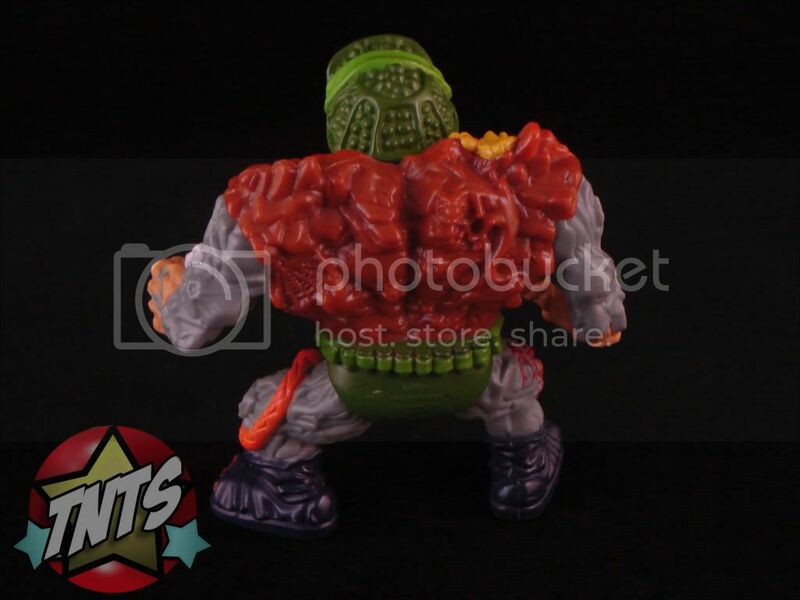 While Traag is far from the wittiest whinstone in the world, he’s still a sufficient spearhead for Krang’s Stone Warriors. I can’t tell you how many times he handed me my hindquarters back in the age of the arcade game! Traag’s terrible temperament combined with his ‘zero-Turtle-tolerance’ policy make for one heck of a headache for the Heroes in a Half-Shell. The 1987 cartoon version of General Traag was a solid reddish-brown rock humanoid, much simpler in appearance than his flashier figure. 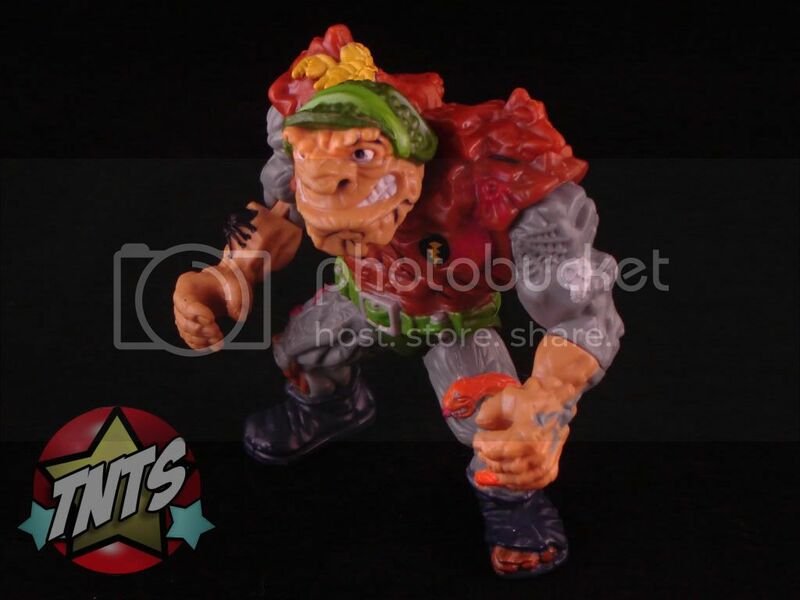 Traag’s toy, released in 1989, has a brown torso with stony gray arms and legs, and light orange face and forearms. He has the same lightning bolt emblem on his left pectoral that he had in the ’87 show. The texture of Traag is very jagged, much like an actual rock. Sitting all over his stony structure, are a collection of creepy crawlies, including a tarantula, a snake, a scorpion, and a lizard. 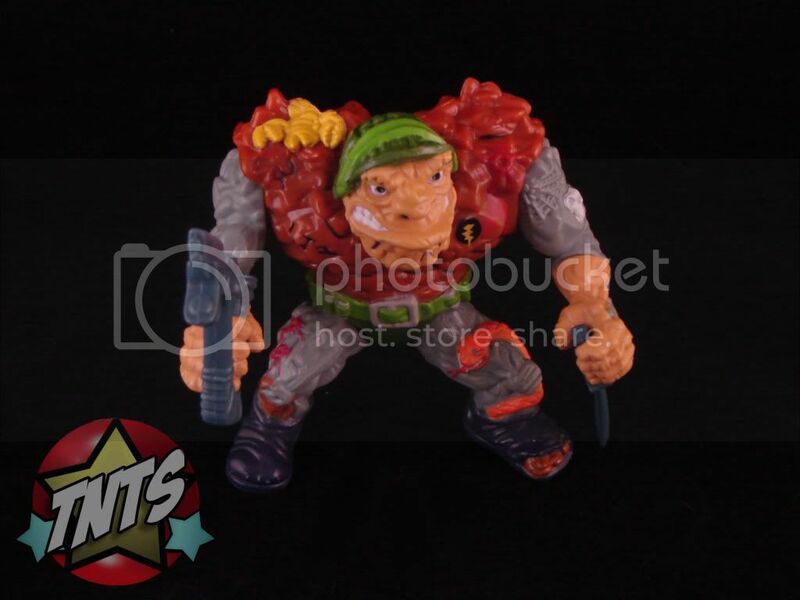 Traag wears a green turtle shell helmet with a pair of green trunks and ammo belt to match. His kicks consist of a pair of beat-up blue boots with a squished baby turtle on the underside of his right foot. 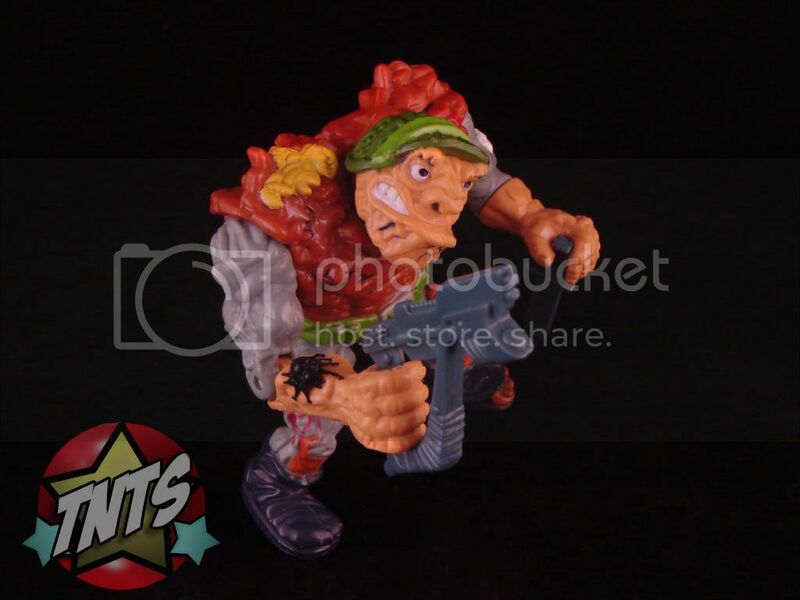 All in all, Traag, like the other figures in the 1987 toy line, has an amazingly detailed and unique sculpt, particularly for being made over 20 years ago! When it comes to play time, General Traag is tough to top. Traag’s hips are on ball-joints while his neck and shoulders swivel. Interestingly enough, each of Traag’s forearms are a different type of joint. His left forearm swivels, while his right forearm is hinged. These different dynamics allow for more posing possibilities, appropriate to Traag’s accompanying accessories. 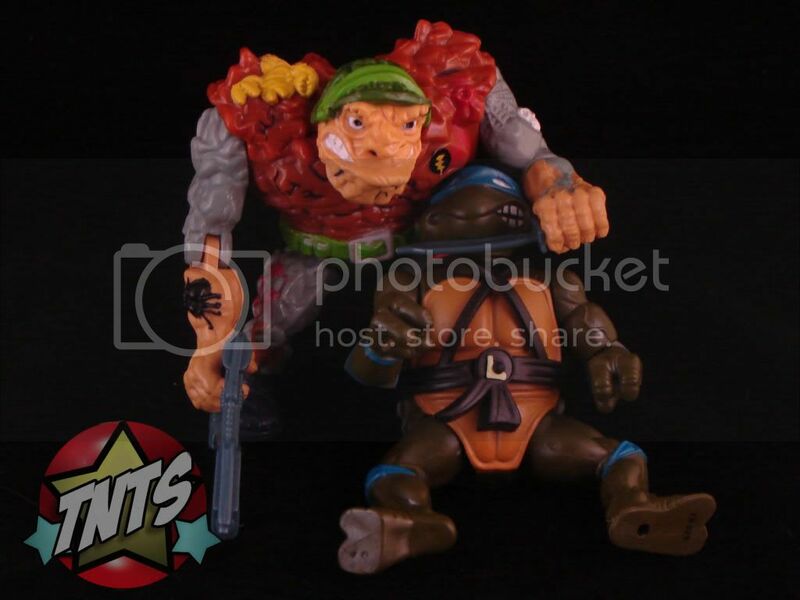 Speaking of General Traag’s accessories, he comes with some pretty terrifying Turtle takedown tackle. 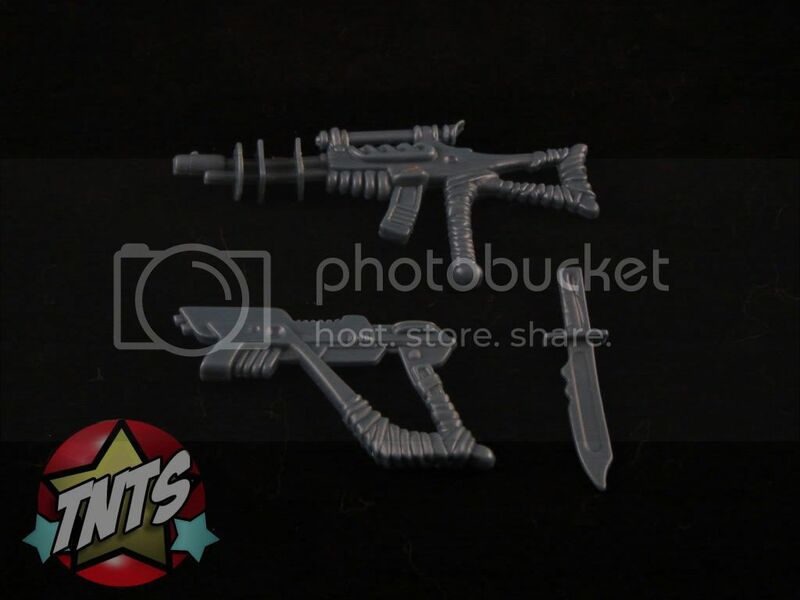 Traag’s sinister Stunlaser Rifle is a wicked weapon intended to blast our boys to herpeton Heaven. 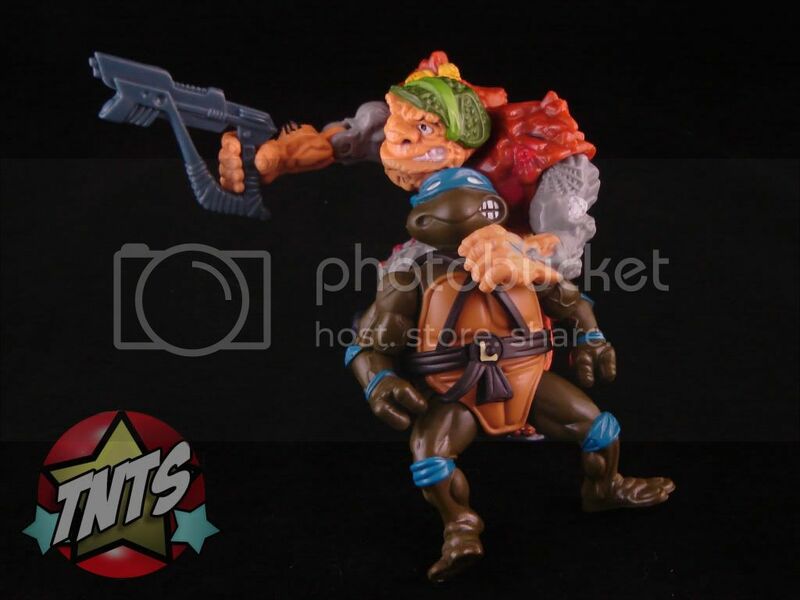 Or, for dual-handed donnybrooks, Traag can equip his Laser Blaster in one hand and his Anti-Turtle Combat Knife (which is the same weapon as original Rocksteady’s Turtle Carver Knife) in the other. Personally, I love the way Traag’s left arm is seemingly tailor-made for wielding the Knife, while his right is perfect for pipping or pistol-whipping with the Blaster. And there you have General Traag. 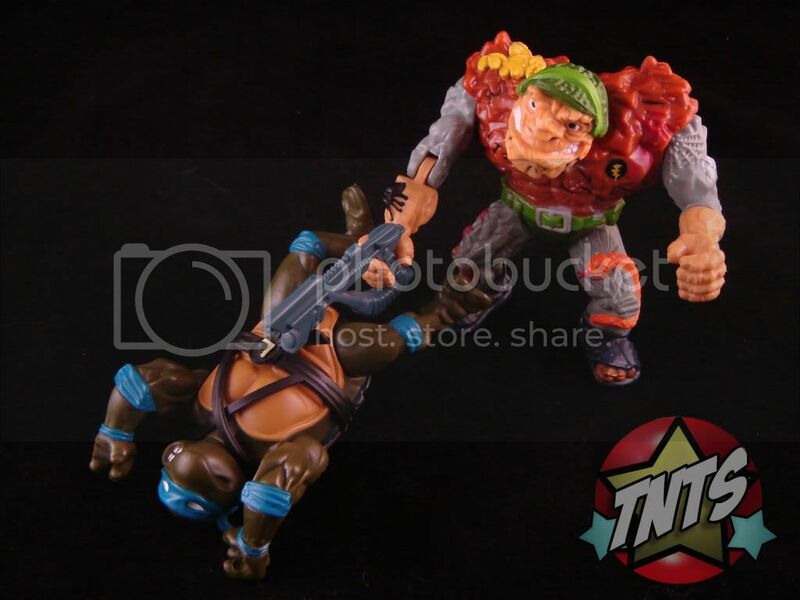 He’s a faithful follower of the Foot and a super supporting scoundrel for any Teenage Mutant Ninja Turtles collection. If there is anything else you would like to know or say about this rocky reprobate or any Turtle topic whatsoever, get the shell over to www.PopCultureNetwork.com and join the forums TODAY! If you love toys, Turtles and everything beyond, you will definitely be glad you did! Thanks for reading, and we’ll see you in a week for more RADICAL RETRO TURTLE TOY TALK!